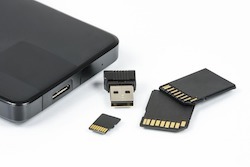 Although the ubiquity of format-shifting and backing-up means that there is widespread infringement of copyright law, copyright owners do not seem to be lining up to drag everyone with music or movies on their phones or tablets or laptops before the High Court. So, it might be asked: what’s the real problem here? There are two. First, unenforceable or unenforced law is a blot on the statute book. Legislation sends signals; and, without exceptions for format-shifting and backing-up, the signal Irish copyright legislation is sending is that it is not fit for the digital age. This is a pity, especially as the Bill currently before the Seanad contains many reforms to bring Irish copyright law into the twenty-first century. Amending it to include exceptions for format-shifting and backing-up will complete that job. Second, some people do know that format-shifting and backing-up infringe copyright, and they carry on regardless. The convenience of consuming content across various devices, and the prudence of backing up data, too easily overcome any scruples they might feel about infringing copyright. But this can too easily breed disrespect for the law, and lead to more serious infringements. These consequences are easily avoided by amending the law to ensure that format-shifting and backing-up do not infringe copyright in the first place. In principle, copying should be lawful where it is for private purposes, and does not damage the underlying aims of copyright law. Prohibiting format-shifting and backing-up frustrates consumers’ reasonable assumptions, and brings the law into disrepute. It is not a tenable state of affairs. We have been here before. Recording tv programmes on video cassettes for later viewing was widespread before legislation in 2000 ensured that it was not an infringement of copyright. We should do the same thing now, and ensure that format-shifting and backing-up are also not infringements of copyright. European law permits Ireland to introduce these exceptions. Almost every other country in the EU has done so. Common sense requires us to do so too. The Seanad should take advantage of the opportunity presented by the Bill currently before it, and make Irish copyright law fit for the digital age.